﻿ ﻿We put the POWER behind the Power Seller! Welcome online auction sellers and entrepreneurs! 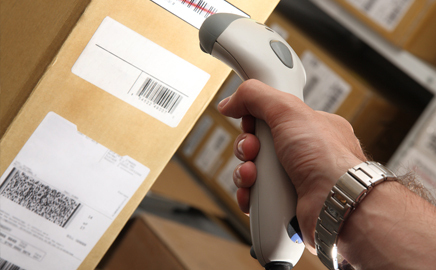 We are your one-stop source for order fulfillment and warehousing located centrally so your items get delivered quickly! Received promptly. Just as described. Thank you. Fast shipping, a pleasure to do business with. As a full service warehousing facility, we can inventory and store all of your auction items, boxes, packaging and anything else you might need to store to "get your business out of the garage and into the big time." Our staff is friendly and professional. If needed, we can take digital photos of your items for you to create your listings and of course, we fulfill all your orders. Life would be so much easier, if you could just send a simple e-mail each morning to your account representative at Prime Logistics and know that your orders will be properly packed, taped, stuffed, addressed and inventoried...all with a simple e-mail. Think of how much time you would save to do the things you get paid to do - sell your products. The cost to you? A very reasonable per-order "pick fee" which you can easily incorporate into the shipping and handling fees charged to the customer. We cannot begin to tell you how much time this will save you. Why would you spend a good portion of your day packing boxes, when someone who is better equipped, can handle that for you at a very affordable fee. This frees up your time so you can grow your business. You call us Toll-Free and we provide you a price quote, over the phone, to store and fill your orders. Each month you get a bill from us and of course your shipping company (you pay your shipping bill separately...we just use your shipping account when filling your orders and then, your shipping provider, sends you a statement each month). Once you sign-on with us, and your products are ready to be warehoused, we will take an initial inventory of every single item that comes off the truck and into our storage area. Your monthly storage fee will be based on how much space you take up in our warehouse. Now you are ready to start selling. Simply e-mail an order in plain text or as a Word attachment or Excel spreadsheet (however you prefer) to your account representative at Prime Logistics, and we will check, double-check and triple-check that order against our processing system to ensure every order is properly accounted for and shipped out according to your specifications. The items that are sold are automatically deducted from your initial inventory count in real time, so you know EXACTLY what you have on-hand at all times. Unlike many of our competitors, we have representatives that are knowledgeable and work hard to maintain your satisfaction. Before guessing what you might have wanted to do with a particular package, we ask you. This is important to your business. We take great pride in our ability to work with you in getting one of the most important aspects of your business fulfilled successfully, and behind the scenes. All your customer sees is a package arriving at their door in record time, and they thank YOU for that. Our name says it all - Prime Logistics! Prime Logistics is located in Florence, Kentucky, near the Cincinnati, Ohio / Northern Kentucky International Airport, within a 600 mile (966 KM) radius of 54% of the nation’s purchasing power. You might say how is Florence, KY centrally located in the US? Well, we will tell you. Go and search for a company that does what we do in Long Beach, CA, where most companies like ours are headquartered and you will find shipping fees to be VERY expensive to most cities in the Northeast. A package needs to travel from California all the way to New York, which costs a lot of money, and takes a long time. By using Prime Logistics as your main, central warehouse, your products are very close to nearly everyone who will be ordering from you. Shipping to NY, PA, MA, VA, OH takes about 2, maybe 3 business days. Shipping to the West Coast, like CA, AZ, TX, WA takes about 3 or 4 business days - we are close to everyone. From a shipping standpoint, we are truly "centrally located." We offer the best compromise for speed and lowered shipping fees, saving you and your customers thousands and thousands of dollars in shipping expenses each year. If you import products from China via Long Beach, CA, it is actually more cost-effective to have your items shipped by the truckload from Long Beach, CA to our warehouse in Kentucky, because it is less expensive to ship an entire truckload from California to Kentucky, than it is to ship each and every product from California to your customer. If you would like to do a little comparison shopping, check out the UPS Time and Cost Calculator from our warehouse, zip code 41042 versus your current location and see the savings to various customer shipping locations. We thank you for taking the time to visit the online auction seller’s section of our web site. We would love to earn your business. All it takes is a simple phone call, then we can show you how much time we can save you and in the long run, and how much money you will keep in your pocket by using our services.